Blog Quick Quotes: Beauty with Donna! Hi Donna here today to share a layout I did using Catalina Island papers. Aren't the colors in this fabulous? This layout was based off the sketch from Sketchabilities and is also for our Friday Challenge this month. 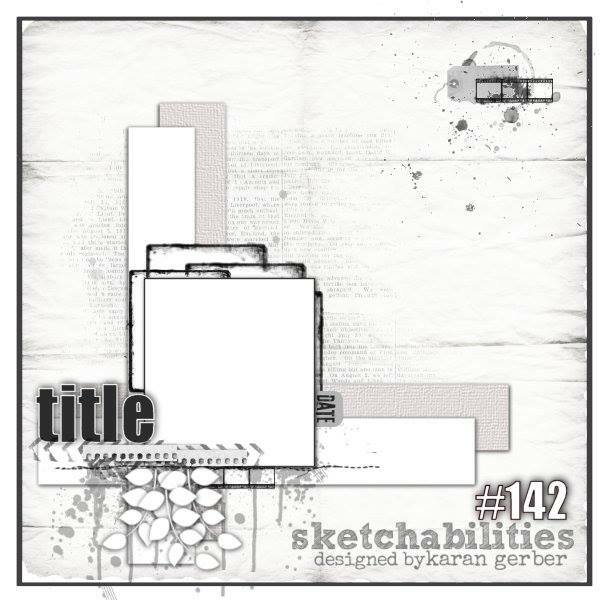 Karan at Sketchabilities does a great job with her sketches, and I use them frequently. The larger flower my first thought was to add Gesso to the Quick Quotes chipboard flower, and ink it with Quick Quotes Powderpuff Ink Blue Hawaiian. I was going to put just one bling piece in the middle but I found this flower gems in my stash and added that on top. The Calypso Die Cut stickers are also from Quick Quotes, and I thought the sentiments were a perfect addition for a layout for my granddaughter. Here is the sketch from Sketchabilties, I hope you get a chance to use this sketch and play along with our current Friday Challenge! I Love this! Can not wait to use this paper!